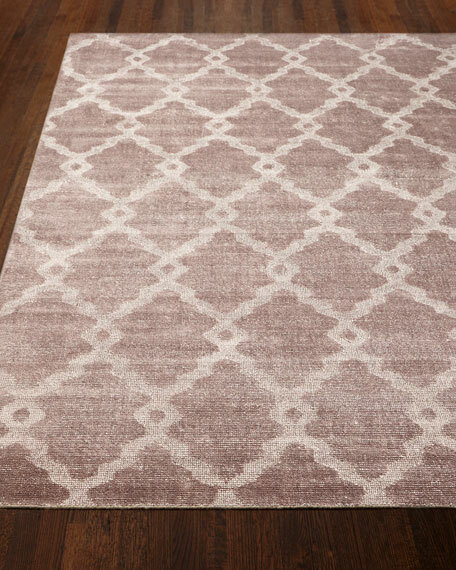 Blakeland Rug, 9'3" x 12'9"
Rug features a traditional Persian rug design rendered in contemporary colors. Loom knotted of viscose and wool. 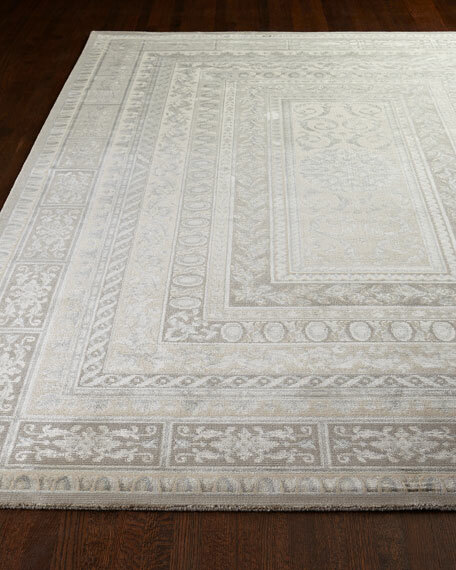 Blakeland Rug, 7'6" x 10'6"
Blakeland Rug, 5'3" x 7'5"
Blakeland Rug, 3'5" x 5'5"
Astral Blossom Rug, 7'9" x 9'9"
Traditional Persian-style rug.Hand tufted of wool.Finely woven, sumptuous pile specially treated to create an extraordinary antique look and feel.Cotton backing applied with latex.Size is approximate.Imported. 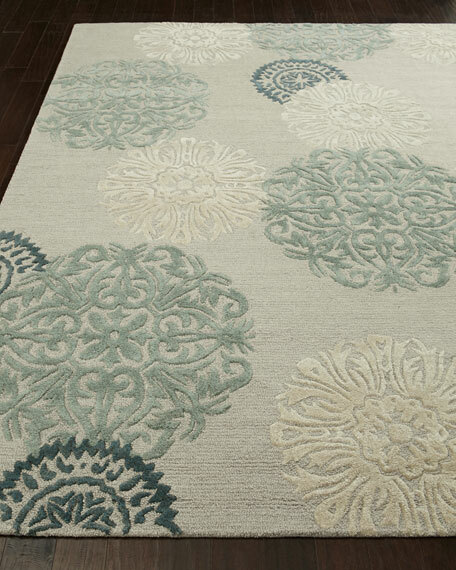 Rug offers traditional yet contemporary style.Hand tufted of wool.Innovative construction combines a looped background with cut pile. 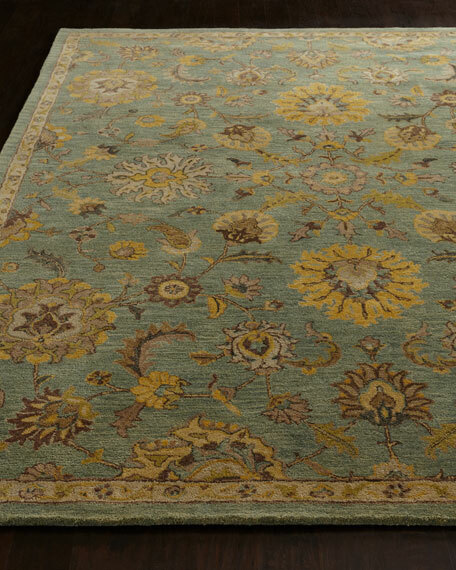 Special dyeing process transforms the New Zealand wool into a stunning array of fresh and modern hues.Canvas backing.Size is approximate.Imported. 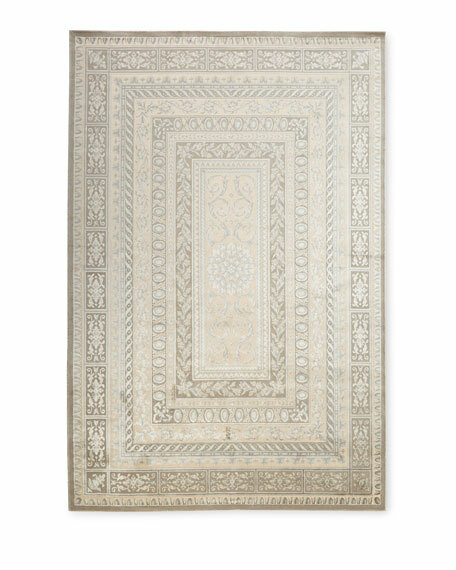 Contemporary loop-and-pile rug.Hand knotted of wool and Silkette (rayon).Size is approximate.All viscose rugs have a light and a dark side depending on the viewing angle. The photos at left show this rug from both sides.Imported. 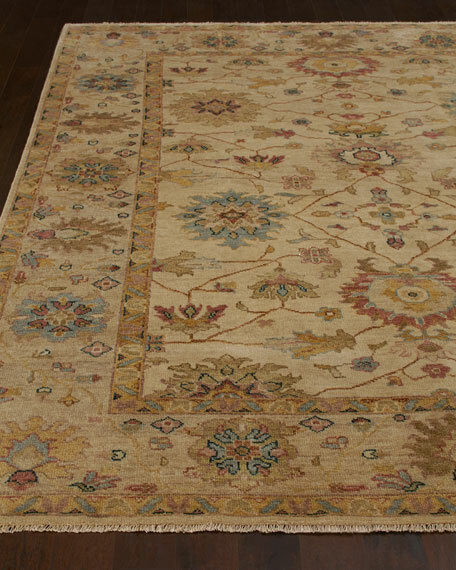 Inspired by a traditional Afghan/Persian tribal design.A unique dying process and the use of blended wools produce colors and shades once only achieved with vegetable dyes.Hand knotted of wool.Size is approximate.Imported.